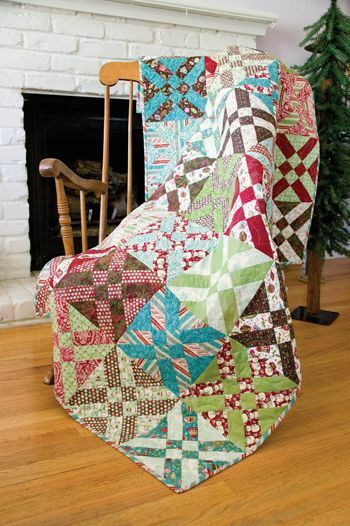 This Anita’s Arrowhead Quilt designed by Anita Grossman Solomon for Quilting Company, The Pattern is available for free. "Arrowhead is a sophisticated and wellbalanced, block. I enjoy the satisfaction of creating alternative techniques to simplify block and quilt construction. It’s like moving from a hand beater to an electric mixer."